They ARE watching you! Privacy or Incognito browser modes make your online life a little safer. What it is: Most modern browsers have a “privacy” or “incognito” mode that bypasses the linking of your credentials (you supplied in normal browsing) to activity conducted in privacy mode in the browser; in addition, websites or searches that are conducted in privacy mode are not stored in the browser history. A third benefit is that credentials used and other identifying information are not kept after the privacy window is closed. What it doesn’t do: Your browsing activity can still be tracked by your Internet Service Provider or your employer and, to some extent, at web server endpoints (the computer where web pages are hosted). 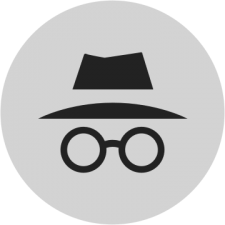 Privacy mode does a reasonable job of keeping information in the private browsing session from being mixed with normal browsing activities. If you are in Privacy Mode and you login to webmail or conduct searches while logged in, you can still be tracked by the webmail provider to some extent. Why you want it: You can effectively keep your accounts from being linked to searches, web history, etc. In addition, this keeps credentials typed into a window from being saved or accessed by unauthorized users. To keep your professional account activities separate from your private account activities. To conduct “clean” searches that are not influenced by searches performed previously. Search histories are sometimes used to give “weighted” page rankings. To keep your credentials, searches, and browser history from being stored “permanently” in another computer– if you ever use a loaner computer or temporarily use a friend or family member’s computer for your own logged in activities. 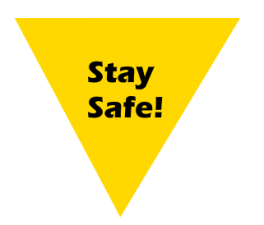 Online shopping — keep prying eyes from knowing what holiday gifts may have been ordered! Prevent LinkedIn and other sites from tracking your browsing. When using Youtube for entertainment, it is advisable to keep your browser in privacy mode. This will keep the videos you watched from being associated with your professional account. Some news websites will limit the number of articles you read. They keep track of you with “cookies” (little bits of data stored on your computer). If you use Privacy mode, these limits are often bypassed. How to use private browsing: All modern browsers have some form of private browsing, Firefox is a little bit better than others, which I will explain below. The instructions for each browser are a little different– see below. In the upper right-hand corner select the three vertical dots, click “New incognito window”. When you open an Incognito window on your computer you will effectively prevent Chrome from saving your browsing history. Chrome will permit you to switch between an Incognito window and any regular windows you have open. You’ll only be in Incognito mode when you’re using the Incognito window, and in normal browsing in the other windows. You can also open a LINK into an incognito window by right-clicking on the link and selecting “open link in incognito window”. 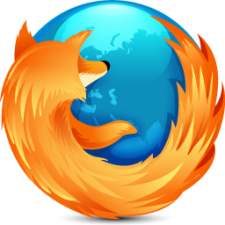 Firefox (recommended) is the most secure of the mainstream browsers. There are two ways you can open a private window (works in Windows, Linux, and Mac versions). 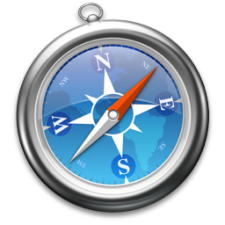 Safari, Apple’s proprietary browser is based on WebKit. While Privacy and Incognito modes in browsers aren’t perfect at concealing your identity and web surfing history, they are essential if you want more privacy and security for your online life! In a future blog post, I will cover the Tor browser, which amps-up-the-security-level and is an essential tool for investigative journalists and researchers looking at the darker parts of the Internet.